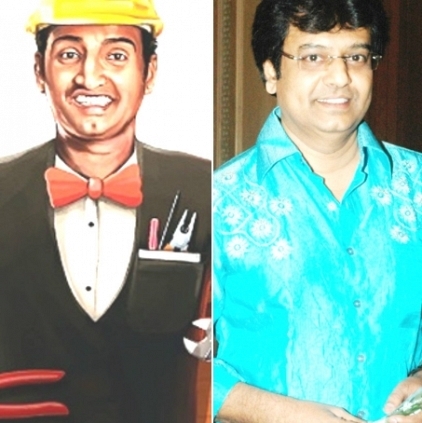 SANTHANAM AND VIVEK BEGIN TOGETHER! As already reported Hrishikesh, Dhanush’s brother from Velai Illa Pattathari is all set for his foray into the silvertown as a hero. Titled as Rum, this venture is directed by Bharath Sai. It stars Vivek, Hrishikesh, Sanchita Shetty and Mia George in important roles and has music by Anirudh Ravichander. Santhanam’s upcoming venture Server Sundaram directed by Anand Balki, has music by Santhosh Narayanan. This project is touted to portray Santhanam as a chef and has PK Varma of Cuckoo fame cranking the camera. Both of these ventures began today, February 22nd, 2016 with a small prayer in the presence of the immediate crew. Here’s Behindwoods wishing them all success! Santhanam - Santhosh Narayanan Project Is Titled As Server Sundaram? Santhosh Narayanan To Team Up With Santhanam? Santhanam Was Not Secretly Getting Married To Ashna Zaveri In Tirupati! Santhanam To Join Hands With Director Krishna? People looking for online information on RUM, Santhanam, Server Sundaram will find this news story useful.